If you have flat roofing in Long Island, it is essential for you to hire a professional roofer with experience working on these types of roofs. 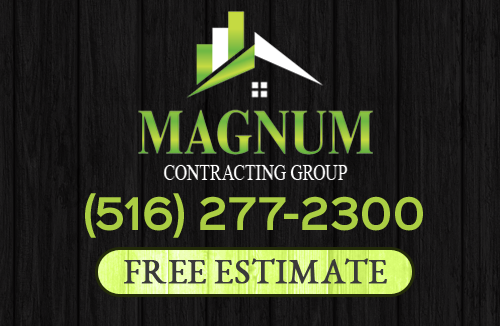 At Magnum Contracting Group, our Long Island roofing contractors are proud to provide exceptional flat roofing services to both residential and commercial clients. Our highly skilled experts have the ability to provide for all your needs. When you hire our professionals for your roofing project, you are making the best choice for your property. In every service that we provide, our team works its hardest to add substantial long-term value to the properties of our customers. We will bring this dedication to excellence to task for you. If you need to install, repair, inspect, or replace a flat roofing system in Long Island, call Magnum Contracting Group. Our courteous and polite staff would be happy to take your call and to answer any questions that you may have. We can schedule your consultation today. There are a number of unique benefits to flat roof. First off, because they have less surface area when compared to pitched roofs, flat roofing in Long Island is less expensive to install and replace. 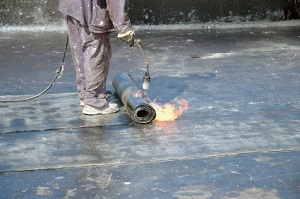 Second, flat roofing is more energy efficient than traditional roofing. Third, flat roofs are unique and allow for architectural flexibility. When you hire our professionals, we will be able to help you design a flat roofing system that will achieve all of your unique goals. Your property is guaranteed to look fantastic and to have the highest level of protection for the longest time period possible. You and your family are guaranteed to be completely satisfied with the results. Throughout the service life of your flat roofing system, our Long Island contractors will always be available to provide for your routine maintenance and repair needs. Through our roof inspection services, we can identify and repair any problems that develop before they can become significant issues. You can always rest assured knowing that your flat roofing system is well cared for and maintained. Routine maintenance is the best way to mitigate repair costs and to extend the service life of your roof. At Magnum Contracting Group, our team seeks to form long lasting and mutually beneficial relationships with all of our customers. Through the high quality flat roofing services that we provide, we seek to convey the fact that you can trust us with all your present and future roofing needs. Call us today to see how we can help improve your home or business. If you would like an estimate for flat roofing in Long Island, please call 516-277-2300 or complete our online request form.